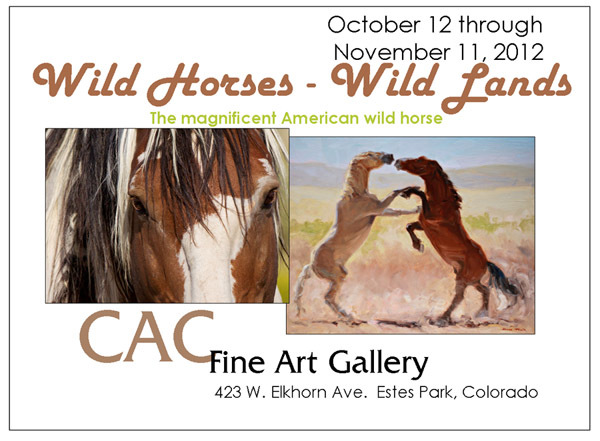 All the Missing Horses: What Happened to the Wild Horses Tom Davis Bought From the Gov’t? by Dave Philipps, Special to ProPublica Sept. 28, 2012, 5:13 p.m. The BLM has sold Davis at least 1,700 wild horses and burros since 2009, agency records show  — 70 percent of the animals purchased through its sale program. Sally Spencer, who runs the wild horse sales program , said the agency has had no indication of problems with Davis and it would be unfair for the BLM to look more closely at him based on the volume of his purchases. In 1971, Congress stepped in to save the remaining herds, passing a law  that declared wild horses “living symbols of the historic and pioneer spirit of the West” and made it a crime for anyone to harass or kill wild horses on most federal land. The law tasked the departments of Interior and Agriculture with protecting the animals still roaming the range. For decades, government auditors  and wild horse welfare advocates have warned that the policy of capturing and storing horses is unsustainable and have pushed for the BLM to use fertility controls, introduce predators or expand wild horse territories, but the agency has made little progress toward these goals. In the first half of this year, for example, it treated fewer than half as many wild horses with a birth control drug than was planned. 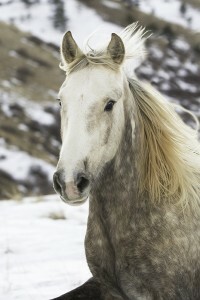 Instead, since then, the BLM has been selling horses, but requiring buyers to sign contracts  saying they will “not knowingly sell or transfer ownership of any listed wild horse and or burro to any person or organization with an intention to resell, trade, or give away the animal for processing into commercial products.” Violating the agreement is a felony, but there are no compliance checks similar to those done when horses are adopted. Even when priced at less than a few bales of hay, these horses had little appeal: Sales dropped  from 1,468 in 2005 to 351 in 2008. There have been no horse slaughterhouses in the U.S. since 2007, when Congress barred funding for U.S. Department of Agriculture horse meat inspectors. Since then horse slaughter has been outsourced. A 2011 report by the General Accountability Office  found the export of horses for slaughter to Mexico shot up 660 percent after the ban. Davis has close friends who export horses for slaughter, including Dennis Chavez, whose family runs one of largest export businesses in the southwest. 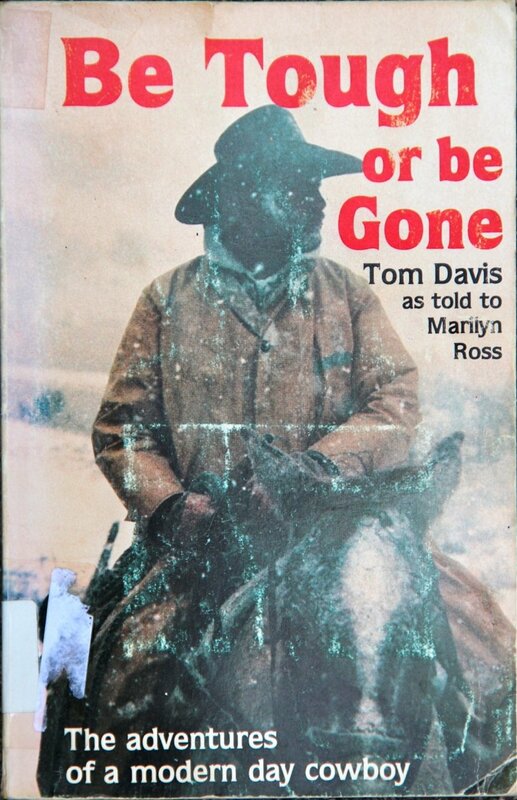 In 1984, when Davis authored “Be Tough or be Gone ,” a self-published book about a horseback ride he took from Mexico to Alaska, he dedicated it to Chavez’s father, Sonny Chavez. In late 2010, the BLM rounded up 255 horses in the Adobe Town wild horse area  in Wyoming. A local loose knit group of advocates had been photographing the herd for years. After the round-up, group members called BLM officials, looking to adopt a few of the animals, particularly an old stallion they had named Grey Beard . To contact Dave Philipps about this story, email him at horse@propublica.org. So I’ve been working on several things this week in the studio. Got a Look! sculpture back from the patineur who will be doing the patinas on my sculpture – he is now a beautiful blue/green/brown with lacy white underneath. I believe Deb said he has 7 different coats of various types of applications she used to get the effect. Look! is very proud of his new “look”. It is a beautiful patina for sure (and the photo below does not do it justice, but stay tuned…they will be on the website soon). I have been working of Step High! as well, while waiting for various parts of Leap! to dry…since Step High! has only two feet on the ground, I am doing a lot of thinking about how to keep her free-standing. It may not be possible to do until she is bronze, as the foundry could perhaps weigh her feet to keep her from falling over. I cannot believe that it is February 1st already! I have this voice that whispers that I must hurry…and so I do. It is an exciting thing to have the time to work on the horses full-time and I love every minute I spend in the studio. I got to spend time with real horses this week, as my cousins have a couple of them and we visited and groomed and it was a fun way to spend part of Sunday! Thanks girls! I finished reading “Straight from the Horse’s Heart” by R.T. Fitch. If you love horses, it’s full of great stories and a portion of the proceeds from the book go to help Habitat for Horses help horses. Every day horses are abused and across our borders (perhaps within our borders again soon) they are slaughtered. There are proponents for and against the slaughter of horses. Some people have the opinion that a quick death at a slaughter-house is preferable to a slow death from abandonment and abuse. But is that really true? Or is that just something we are told so that we will feel okay about it? I think that they are just different sides of the same awful coin. Rather than argue the ins and outs of how a horse dies in a slaughter-house (is it quick? Is it painless? …are you sure?) – I would simply argue that they are every bit (more so throughout history) as important a companion animal to us as dogs and cats. Do we slaughter the dogs and cats no one can take care of and eat them? Or ship their shrink wrapped bodies overseas so other people can eat them? Does the thought of doing that make your stomach turn? And since when do slaughter houses kill any animal in a “humane” or “painless” or non-terrifying-to-the animal way? Why are the only alternatives to unwanted horses abuse, neglect or …slaughter? Could it be because there is potential profit made from horses being slaughtered?